Riviera Nayarit, Mexico (September 2, 2016) - The "Beyond All-Inclusive, Beyond All Compare" Grand Velas Riviera Nayarit introduces its first annual multigenerational Wellness Week inclusive of top chefs, vegan menus, culinary workshops, fitness activities, and spa offerings from October 24-30, 2016. Prominent Mexican vegan chef Miguel Bautista and award-winning soulful vegan author Ellen Kanner will lead cooking and juicing classes, Vegan tastings and even a workshop on plant-based food and sensuality. The AAA Five Diamond resort on Mexico's Pacific Coast is offering a 30% savings on its duplex wellness suites that feature special insuite fitness amenities, a complimentary massage on the suite's private rooftop, personal training, and a nutrition consultation among other extras. All special Wellness Week activities are included complimentary in the resort's nightly rate which starts at $309 per person based on double occupancy. Wellness Week activities vary by the day with Vegan workshops led by Miguel Bautista and Ellen Kanner. 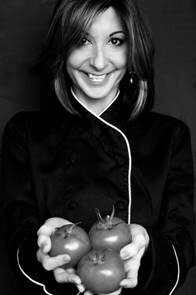 The Miami Herald's syndicated columnist the Edgy Veggie, Kanner is the author of Feeding the Hungry Ghost: Life, Faith and What to Eat for Dinner (VegNews' 2013 Book of the Year, PETA's debut Book of the Month Club pick) and Huffington Post's Meatless Monday column. She will head up interactive seminars on five steps to conscious eating, easy ways to swap healthier choices without sacrificing flavor or culinary authenticity and plant-based food and sensuality. Bautista, who regularly teaches veganism and use of raw food, is co-founder of Vegan Planet, Mexico where he is currently Executive Chef. Fitness activities range from yoga led by the director of Mexico's Yoga Institute, Pilates, and meditation to CrossFit. In addition to the activities, the spa will offer multigenerational treatments, with specific services for babies, children, teens, women, men, and mature adults. The resort's restaurants - including its three AAA Four Diamond restaurants - will also offer vegan, gluten free and vegetarian alternatives to the regular menus. For travelers looking to fully immerse in wellness, the resort is offering a 30% savings on its Wellness Suites. Upon arrival to the 1750 sq. ft. suite, a personal Wellness Concierge provides counsel on spa treatments and in-suite fitness amenities, including a yoga mat, dumbbells, resistance bands, and a Life Fitness Activate Series Recumbent Lifecycle® Exercise Bike. In addition to a massage and one personal training session in-suite, the suite includes an Alchimia Apothecary Aromatherapy Kit with scents ranging from cedar and lavender to tangerine and myrrh, and Vitamin C Sprinkler that lightly spritzes guests on command in the shower with a warm bath of vitamin C essential oils. Accommodations also feature a Nikken Kenko™ pillow, comforter and LED Lamp with a clock and timer that increases gradually, simulating the dawn and dusk. Resort rates start at $309 per person per night, based on double occupancy. 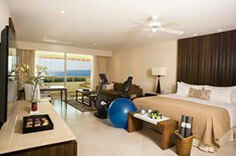 With accommodations in the Wellness Suites, the rate is $384 per person per night based on double. The Grand Velas resort's all-inclusive rates include luxury accommodations, a la carte gourmet meals at a variety of specialty restaurants, premium branded beverages, 24-hour in-suite service, taxes, gratuity and more. Spa treatments are an additional cost. For reservations or more information, call 1-888-407-4869, email reservations@velasresorts.com or visit http://vallarta.grandvelas.com/.